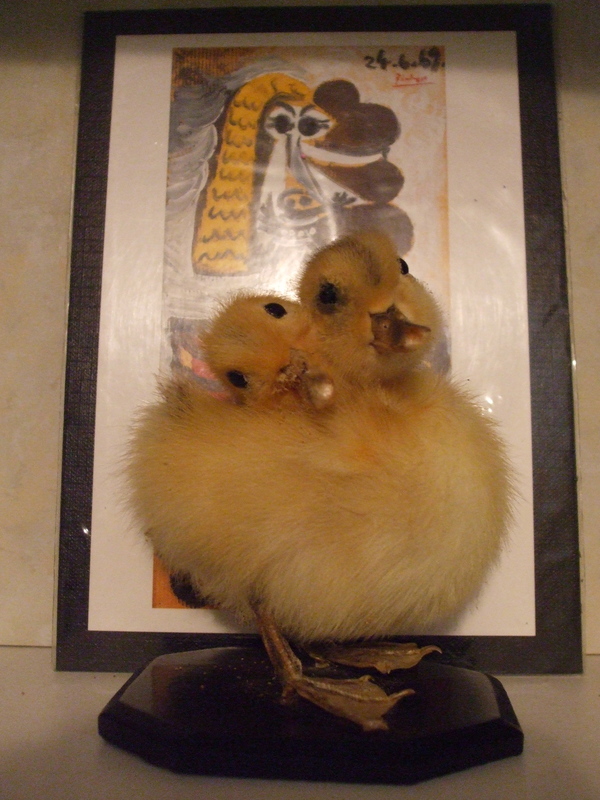 Inspired by a tweet a month or so ago by Rick O’Shea, about ridiculous art purchases, I decided to release images of possibly one of the strangest gifts I’ve ever been given – a two headed stuffed duck. Now, I love this little fella (and so does @Katyod); he sits in my writing room, happily looking down on me as I work. I like to think he’s spurring me on. But, of course, he got a mixed reaction on Twitter…after all, he’s not quite ‘normal’. There’s no denying that writing is a weird gift…after all, you lock yourself away in a room, making up worlds and people, hoping someone other than you/your other half/your retired neighbour will read it one day. You feel driven by the characters, the plot, the twists at the end. You spend nights dreaming about plot blips and days dreaming about a publishing deal. And once you get the publishing deal, you start dreaming of deadlines and starting something completely new. But lightheartedness aside, this ‘weirdness’ is not limited to writers; and there can be a dark side to creative talent. It’s well known that many of the world’s most creative minds (whether in film, science, art, sculpture, writing, comedy, etc) also suffer from some form of depression/social difficulties/addictions/phobias. Of course, just as many creative folk don’t – but there’s still no denying that creativity and the darker side of the brain may be linked. Mslexia is currently conducting a survey on creativity and mental health – there are only twelve questions to answer and I think the answers will be enlightening. So, help us to understand the weird gifts we have and click here to take part (deadline Sunday, February 12th). A really interesting post, I enjoyed reading it. I love the two headed duck. Thank you! The two-headed duck (now christened Tweedle, thanks to @angelreadman) sends some love back too! Ha ha – how absolutely true! Glad I’m not the only one – though of course, it’d be nicer if we didn’t have to experience this verbal punishment at all! Still, guess it comes with the territory. I now get my sister-in-law to cut my hair, to avoid the awkward conversations. I don’t – but off to Google them now! A friend has suggested calling the duck Tweedle – what do you think? I love it! I thought so too – glad I asked @angelreadman now! What a lovely comment – I’m glad that I could help, even a little. I’m the same as you – when I don’t get chance to create, I get more stressed. I don’t use writing as therapy like some people (which is a valid activity, it’s just not my approach), but I certainly feel more balanced when I’m writing every day. I do, however, like to take week-long breaks now and again. I find ideas flow more freely after a short writing vacation. I’m not sure whether to laugh or groan! As usual, you got me giddy. Glad you love the two-headed duck – you’ll meet him one day. Tweedle and MonkeyElephant are great friends. Maybe they could do a tour together? But you are writing and you are published !! Or I’m having an optical hallucination 😉 Love the two – headed duck – sorry I too late to do the survey !! Maura. No worries – thanks for the support and words of encouragement. Maura – and for the duck love!